Barcelona is bustling of events and happenings in December. Christmas reaches every corner of this beautiful city. This is the biggest and most popular Christmas market in Barcelona. There will be almost 300 market stands, and they are grouped into four sections. The Fira de Santa Llúcia is held in the Gothic Quarter in front of the Cathedral, few steps away from the metro Jaume 1. It’s open from 27th of November until 23rd of December, every day from 10.30 am until 8 pm, except on weekends until 9.30 pm. Placa Espanya, neighborhood of Vila de Gracia, Torre Agbar, and streets of Ronda de Sant Pere and Passeig de Gracia are also usually having beautiful and plentiful Christmas decoration. 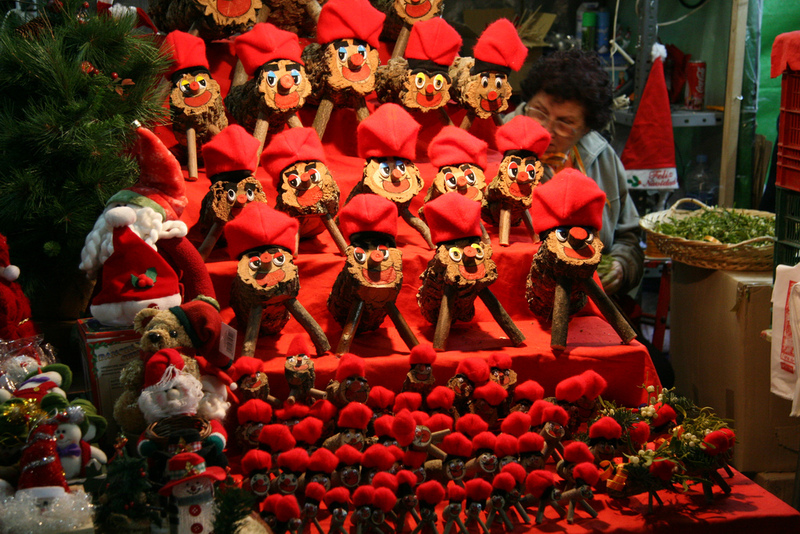 “The pooping man”, is a Catalan Christmas tradition. It often is as a character in the Catalonian Nativity Scenes and it is children’s fun to find the figure from there. The poop of the Caganer is said to bring good luck, as it fertilizes the earth, and along with that brings good luck for the New Year. Caga Tió, also known as Tió de Nadal, is a “poop log” which poops Christmas presents for the children. They feed the log every evening with Turrón, and keep him warm with a red blanket. On Christmas Eve the children hit the log with sticks and sing a special song, so Caga Tió would poop the Christmas presents. 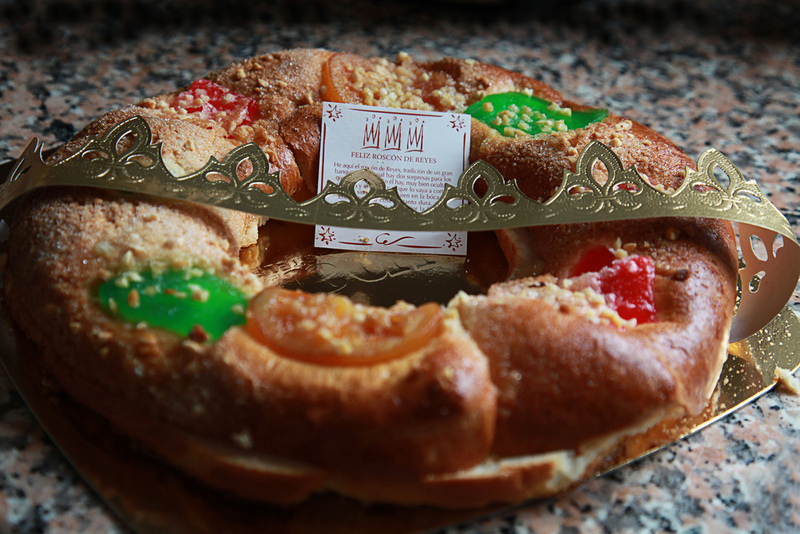 “Día de los Reyes Magos” is celebrated 5th of January and it’s the biggest Christmas celebration in all over Spain. In Barcelona it’s celebrated with a big parade trough the city. Although the public holiday and day for opening the Christmas presents is January 6th, is the 5th the day when the Three Wise Man arrives to Barcelona and large focus of the celebrations is then. In the parade the Three Kings throws sweets and gifts to the children, while everyone is on the streets welcoming them back from their long journey to the East. “Pessebre” is the Catalan name for the Christmas Nativity Scenes. The Nativity Scenes are a big part of Catalonian Christmas traditions. The Barcelona’s main Nativity Scene is built up every year on Plaça de Sant Jaume, outside the town hall. 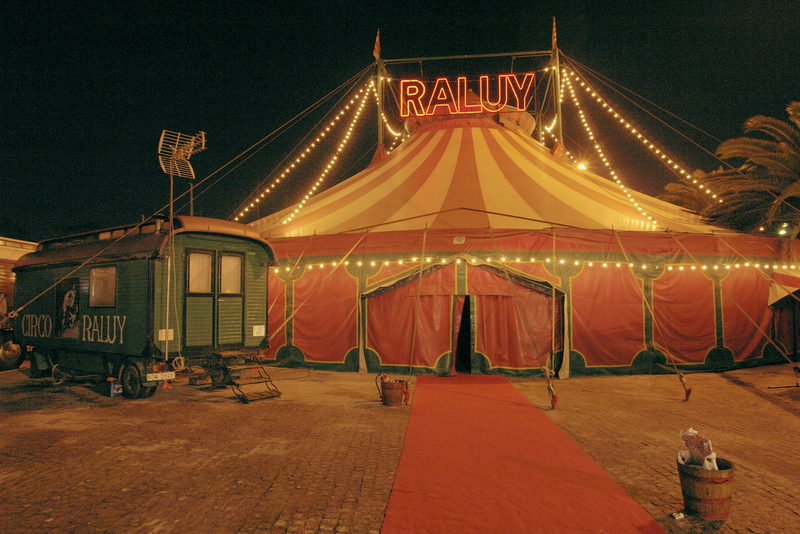 It is different every year and the biggest one in Barcelona, taking almost a quarter’s space of the square. You can see the Nativity Scene from late November until 6th of January and it is open daily from 10 am to 9 pm. In Poble Espanyol, the Spanish Village in Montjüic, you can see a living Nativity Scene. The streets of the village are turned to a living Nativity Scene, and everywhere is put beautiful Christmas decorations. Poble Espanyol is a very nice attraction especially for kids. From here you can read more. This is a traditional soup made during the Christmas period. It is often eaten as a starter. Escudella i Carn d’Olla is made of a large piece of meat being cooked for hours, to ensure it is thick and good for a soup. When the meat is ready, it is removed from the soup and replaced with Gallets. Gallets are snail-shell shaped pasta. The meat which was cooked with the pasta is later been eaten as a main dish. Most Spanish households enjoy it with various tapas dishes. Here you can see the recipe for Escudella i Carn d’olla. Turrón is a traditional sweet made of nougat. You can buy it from almost everywhere in Barcelona. The most popular taste variation during the Christmas period is made of nougat and almonds, but you will find many other delicious variations also. If you want to enjoy homemade Turróns, check out this recipe. The Christmas bread of Catalonia is called El Pa de Nadal. You can buy it almost everywhere in Barcelona, and enjoy it with the Christmas dinner. This cake is always served on the Three Kings Day. It is a ring-shaped cake, and inside the cake are traditionally baked two family-activity objects: a dry green bean and a figure of a king. When the cake is served, everyone checks their pieces. The one who got the king figure can use a crown for the evening, and the one with the bean have to pay the dinner. You will find the recipe for the El Roscón de Reyes here. It is common to eat lentils for lunch on New Years’ Eve. Every lentil is representing a coin, and it is said that eating them brings good luck and wealth for the coming year. When it is almost midnight and the clock chimes twelve times, it is a tradition to eat twelve grapes. One grape should be eaten on every each chime. This is surprisingly difficult! It is said that if you can eat all the twelve grapes on time, it brings you good luck for the coming year.